Vintage Rides is a travel agency within Article L.211-1 of the French Tourism Code (hereinafter, the “Tourism Code”), whose main business is to offer motorcycle trips or excursions (especially on “Royal Enfield” models), or on other types of vehicle (quad bike, snow bikes or other motor and/or wheeled vehicle), hereinafter collectively referred to as, the “Vehicles”. Vintage Rides is registered with the Register of Tour Operators and Holiday Packages of Atout France (Atout France registration certificate no. IM075150006 issued on 09/01/2015). Atout France (or Tourism Development Agency of France) is an Economic Interest Grouping (EIG) under the authority of the Minister for Tourism and whose head office is located at 79/81, rue de Clichy, 75009 Paris, Tel . : 01.42.96.70.00. In accordance with the provisions of Article L.211-18 of the Tourism Code, Vintage Rides (i) enjoys a financial guarantee from APST 15 Avenue Carnot 75017 Paris France (ii) is insured with HISCOX Europe Underwriting Unlimited, 2 Rue Louis le Grand 75002, Paris, France under the RCAPST/PROV contract dated 01/01/2015 pursuant to the Professional Liability Insurance and (iii) fulfills the conditions of professional competence required by this article for its exercise in France. In accordance with the provisions of Article L.211-12 of the Tourism Code, the articles R. 211-3 to R. 211-11, related to the travel and holiday packages sales contract, are reproduced herein (See Appendix 1). The company Vintage Rides in France (hereinafter, “Vintage Rides”), as presented in preamble of this General Terms and Conditions of Sale, offers a booking service (hereinafter, the “Service”) for motorcycle tour programs or on other Vehicles in various regions of the world (hereinafter, the “Tour Services”) whose options are particularly detailed on the website: www.vintagerides.com (hereinafter, the “Website”). These Special Terms and Conditions of Sale are intended to define the conditions of booking and participation in the Tour Services, which require users of the Website (hereinafter, the “Users”) and/or any person who wishes to contract with Vintage Rides so as to participate in the Tour services (hereinafter collectively referred to as, the “Vintage Riders”). In this context, they particularly define the respective rights and obligations of the Vintage Riders, on one hand, and Vintage Rides on the other hand, hereinafter individually referred to as a “Party” or collectively the “Parties”. The Special Terms and Conditions of Sale also specify the booking procedure for a Tour Service (especially online via the website of Vintage Rides), cancellation and refund policy practiced by Vintage Rides, possible limitations of its liability towards Vintage Riders as well as some information on Tour services as a whole (risks, administrative and health formalities, terms of payment and participation, etc.). • The registration form provided by Vintage Rides for booking of a Tour Service stating the main features of this service and any specific conditions pertaining thereto. • Risk Information Note (in Appendix 2) to be signed and submitted by the Vintage Riders to Vintage Rides before beginning any Tour Service. VINTAGE RIDERS ACKNOWLEDGE THAT THE ABOVEMENTIONED DOCUMENTS FORM AN INDIVISIBLE CONTRACT PACKAGE, AND EXPRESSLY COMMIT, BY ACCEPTANCE HEREOF, TO COMPLY WITH ALL THE DOCUMENTS MENTIONED ABOVE AS PART OF THEIR BOOKING AND/OR THEIR PARTICIPATION IN ANY TOUR SERVICE. In case of booking made with Vintage Rides by any other means, the Vintage Rider agrees to return the below documents signed with the handwritten words “read and approved, good for agreement” preceding their signature: the registration form as well as the Terms and Conditions of Sale and Risk Information Note. Said signed documents should be accompanied by related payment (deposit) or proof of said payment, according to the allowed means of payment (credit card, bank transfer, etc.). THE APPLICABLE SPECIAL TERMS AND CONDITIONS OF SALE ARE THOSE IN FORCE ON THE DATE OF BOOKING, AS DEFINED HEREIN. However, Vintage Rides may have to change the Special Terms and Conditions of Sale at any time, without prior notice, subject to informing the Vintage Riders about it as soon as coming into force of these modifications by email and/or by publishing the modification on the Website. Vintage Rides will update the Special Terms and Conditions of Sale while indicating the date of last update on top hereof. ANY VINTAGE RIDER WHO WANTS TO BOOK A TOUR SERVICE MUST ACCEPT THE SPECIAL TERMS AND CONDITIONS OF SALE FULLY, INCLUDING THEIR LAST UPDATE WHICH HAS BEEN NOTIFIED TO HIM/HER. IF YOU DO NOT AGREE WITH THE CURRENT SPECIAL TERMS AND CONDITIONS OF SALE, YOU CANNOT MAKE THE BOOKING OR PURCHASE A TOUR SERVICE OFFERED BY VINTAGE RIDES. In accordance with the provisions of Article L.211-8 of the French Tourism Code (hereinafter, the “Tourism Code”), Vintage Rides informs the Vintage Riders, in writing prior to the confirmation of their booking, the detail of the selected Tour Service with regard to transport and accommodation, price and payment terms, booking cancellation policy as well as border crossing conditions. This information will be accessible to the Vintage Rider during sending of the quote by Vintage Rides and summarized in the registration form afterwards, as in force on the day of sending of said form. In accordance with Article L.211-9 of the Tourism Code, the Vintage Riders are informed that Vintage Rides expressly reserves the right to subsequently modify the information previously sent to the Vintage Rider, before the booking date, as defined herein. Any modification of the prior information will be communicated to the Vintage Rider, before the date of booking. 21. Commitment to provide to the buyer, in due course before start of the trip or holiday, the departure and arrival time. 4. Information related to its identity, its postal address, telephone number and email and its activities, provided they are not apparent from the context, as well as, if necessary, those related to legal guarantees, features of digital content and, where applicable, its interoperability, existence and terms of implementation of the guarantees and other contractual conditions.” (new Article L.111-1 of the Consumer Code). This Article 5.4. (I) applies without prejudice to Articles 5.1, 5.2 and 5.3 hereof in case of booking covering a tour package within Article L.211-2 of the Tourism Code, (ii) and without prejudice to the information provided specifically to the Vintage Rider in case of off-premises sale or during fairs or trade shows or any other commercial event; (Iii) is not applicable to sales covering tour packages within Article L.211-2 of the Tourism Code, or to sales concluded with the professionals (except sale concluded “off-premises” within new Article L.121-6 2° of the Consumer Code, and “as soon as the objective [of the contract thus concluded] is beyond the field of main activity of the sought professional and the number of employees employed by the latter is less than or equal to five” (Consumer Code., Art. L.121-16-1. III). (iv) Finally, a “Freedom” Formula: “Freedom” Formula. The ““Fixed” Departure” option a Vintage Rides offer offering to the Vintage Rider to travel in organized group, following a tour fully prepared in advance by Vintage Rides. The minimum number of participants is set to 3 (three) persons. The “Choose your own group” option means an offer for which the Vintage Rider can make his group himself, in order to follow a tour prepared in advance by Vintage Rides. The rates charged are negotiated with various service providers depending on the number of persons in the group. The Tailor-Made option means an offer for which the Vintage Rider can make his group himself and design his own tour. The rates charged by Vintage Rides are negotiated with various service providers depending on the number of persons in the group. “Freedom” Formula means an offer for which the Vintage Rider can leave independently with minimal logistics from Vintage Rides, namely provision of a motorcycle, a GPS, organization of a training in India including the driving rules and mechanics of the motorcycle, and booking of hotel room nights at the beginning and end of the journey. The options offered by Vintage Rides are particularly detailed and accessible on the Website. 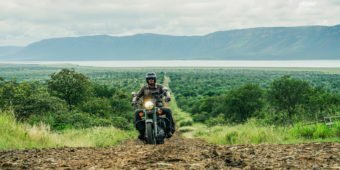 Regardless of the options chosen, the Tour Service selected by the Vintage Rider may require different difficulty levels, due to certain factors such as, itinerary, destination country or required level of driving, besides other specific conditions specified in the description of the Tour Service. 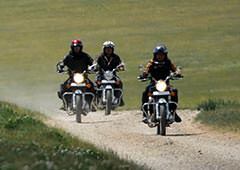 Depending on the options chosen, the Tour Service selected by the Vintage Rider may require different difficulty levels, particularly due to certain factors such as itinerary, destination country or required level of driving, besides other specific conditions specified in the description of the Tour Service. These difficulty levels and any specific conditions will be specified in the corresponding registration form, for the selected Tour Service. These difficulty levels are stated for information purpose only depending on the required general level, and it is up to the Vintage Rider, and him alone, to assess his skills vis-à-vis said difficulty level. It is highly recommended to the Vintage Rider to carefully read the description and any specific conditions communicated on the program and the registration form, particularly with regard to the prerequisites, risk levels indicated, etc. These difficulty levels and all specific conditions will be specified in the corresponding registration form, for the selected Tour Service. A description of the Tour Service, outlining the services included and not included by the latter, is sent to the Vintage Rider in the quote sent at his request as well as the corresponding price inclusive of tax. If the Vintage Rider accepts the quote, all services included and not included, as well as the price inclusive of tax agreed for the latter, will be summarized on the registration form, before confirmation of the booking by the latter. The Vintage Rider must refer to the description which appears in said registration form which constitutes the final description retained for this service. Vintage Rides reserves the right to modify the components or conditions of realization of the Tour Service, in accordance with the provisions of Article L.211-9 of the Tourism Code, and will inform the Vintage Riders about it if needed prior to the date of booking of the Tour Service. The above factors are provided for information purposes only and are confirmed (services included and not included) in the quote and the registration form]. VINTAGE RIDES DOES NOT PROVIDE IN ANY CASE BOOKING OF INTERNATIONAL FLIGHTS OR ANY OTHER TRANSPORT AS PART OF THE TOUR SERVICE. The Vintage Rider must perform all the necessary steps by himself, such as ticket bookings for international flights, in order to ensure his travel to the place of the Tour Service and return to his home. These bookings and costs that they generate are solely borne by the Vintage Rider. In addition, any use of transports during the Tour Service remains at the sole expense of the Vintage Rider. VINTAGE RIDES DISCLAIMS ANY LIABILITY AS FOR THE BOOKING BY THE VINTAGE RIDER WITH TRANSPORTERS, AND PROPER EXECUTION OF THOSE SERVICES BY THE LATTER. Vintage Rides does not provide its assistance in carrying out international tickets issuance operations by air or rail transporters. In accordance with the provisions of Article R.211-1 of the Tourism Code, these operations should be carried out by air or rail transporters directly or through their own automated equipment implemented under their responsibility. Any delay or any incident related to international transport cannot be imposed upon Vintage Rides, and it is up to the Vintage Rider to ensure his own transport in order to be present for the start of the Tour Service, under the conditions which have been indicated to him, and failing that to ensure at his expense a fallback solution to join the group, subject to its acceptance by the Tour Service organizer. Vintage Rides does not provide any vaccines or visa issuance service which would be obligatory to enter the territory where the Tour Service is held except in exceptional cases as mentioned in the travel description as appropriate. THE VINTAGE RIDER, DULY INFORMED BY VINTAGE RIDES AS TO THE OBLIGATION TO UPDATE VACCINES AND/OR CARRY OUT ADMINISTRATIVE PROCEDURES RELATED TO OBTAINING OF VISA, IS SOLELY RESPONSIBLE FOR PROPER COMPLETION OF THESE PROCEDURES. It is up to him to verify and keep abreast of delays in obtaining visas and/or vaccines which are applicable in his particular case, in addition to the information provided to him in this regard by Vintage Rides. THE VINTAGE RIDER IS INFORMED OF THE IMPORTANCE OF COMPLETION OF PROCEDURES NECESSARY FOR OBTAINING OBLIGATORY VACCINES AND VISAS. IF THESE CONDITIONS ARE DECISIVE FOR PARTICIPATION IN THE TOUR SERVICE, THE VINTAGE RIDER WHO IS INFORMED ABOUT IT WILL BE SOLLELY RESPONSIBLE FOR BREACH OF UPHOLDING CONDITIONS FOR OBTAINING OBLIGATORY VACCINES AND/OR VISAS AND CANNOT TURN AGAINST VINTAGE RIDES IF THE LATTER CANNOT PARTICIPATE IN THE TOUR SERVICE FOR THIS REASON ALONE. Accommodation is part of the services provided to the Vintage Rider, depending on the options chosen and quote prepared for the Vintage Rider. In case where the accommodation is included in the chosen option, the Vintage Rider however has the option to make the booking of an accommodation by himself, by contacting Vintage Rides so as to agree to the conditions according to which this accommodation can or cannot be provided to the Vintage Rider during the Tour Service. Any agreement of the Parties in this matter shall be subject to a confirmation in writing. Subject to the prior, express and written agreement of Vintage Rides, the Vintage Rider can enjoy a price reduction under non-booking of the accommodation by Vintage Rides on his behalf. On that assumption, Vintage Rides cannot be held responsible for any incident that may affect the accommodation services provided to the Vintage Rider by a third service provider. The services provided with the accommodation are specified case by case, according to the concerned accommodation, in the registration form, while specifying if these services are subject or not subject to an extra cost for the Vintage Rider, and their obligatory or optional nature. Price of the Tour Services may vary according to the type and level of comfort of the accommodation provided to the Vintage Rider. In any event, the Vintage Rider is informed of the type, level of comfort and price related to the accommodation, as well as the total price inclusive of tax for the Tour Service resulting from it, prior to any confirmation of the booking with Vintage Rides, under pre-contractual information. All these information are especially provided in the registration form sent to the Vintage Rider for his acceptance. Similarly, the conditions for access and use of accommodations are indicated to the Vintage Rider in the registration form. Once the Vintage Rider accepts the registration form, he accepts and must comply with all conditions stated in the registration form as regards the access and use of accommodations by all Vintage Riders of these accommodations. Participation in a Tour Service, especially in cases of crossing of borders, can require from the Vintage Rider fulfillment of administrative and/or health formalities. Information is provided by Vintage Rides to the Vintage Rider about administrative and/or health formalities that is incumbent upon him to fulfill, in the quote and registration form sent to the latter. Before departure, it is up to the participating Vintage Rider to verify that he has a valid identity document (passport, national identity card if it is sufficient) as well as any other specific administrative document that may be required (visa, ESTA permit for the USA, etc.). It is up to the Vintage Rider to verify for his particular case that he has all the necessary personal documents in order to travel in the destination(s) of the Tour Service and to legally drive a motorcycle there. Some transport companies such airlines may also establish specific formalities to be fulfilled. It is up to the Vintage Rider to verify these formalities during booking of tickets. The information related to administrative and health formalities in the contractual documents of Vintage Rides are provided for information purposes only to the Vintage Rider. b. Also consult the following official websites, besides the information about your travel program and those on the website. 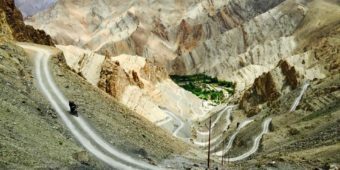 “Where administrative formalities to be completed for entry in one or more countries of the trip require to obtain a visa or any other type of permit, Vintage Rides inform the French nationals about it. It is up to the Vintage Rider of French nationality to complete the formalities for obtaining visas or other permits from the competent authorities at his expense. The persons of foreign nationality should inform themselves and find out before taking a trip about the required administrative and health formalities particularly from the competent embassies or consulates. It is up to the Vintage Rider to verify that his documents, particularly administrative and health, required for the completion of the trip, are in line with the information provided by Vintage Rides. Vintage Rides will cannot, in any case, be held liable for the consequences of non-observance by the Vintage Rider of health or customs police regulations, before and during the trip. A Vintage Rider who could not board a flight and fail to submit the required documents mentioned on the registration form that was handed over to him, could not claim any refund”. https://fr.usembassy.gov/fr/esta.html (website in French version). Vintage Rides recommends to the Vintage Rider to perform this administrative process, because if he is not able to present this authorization at the time of his embarkation, he will be denied boarding and his trip is jeopardized. Requests for authorization or renewal of ESTA are to be paid for online by credit card at the time of request for authorization and/or renewal. The travelers of foreign nationality wishing to travel to the USA or pass through the USA are invited to learn about the required formalities from the competent authorities, and the Planet Ride Team remains at their disposal to help them with it. Vintage Rider is informed that all the above mentioned information is likely to change at any time, until the day of departure, particularly in cases of health risk (e.g. : epidemics) or weather conditions. It is up to each Vintage Rider to verify from the competent authorities that the information that he has is still valid and thus keep himself informed of any update of administrative and/or health formalities that he must complete, until the day before his departure. In addition, it is the sole responsibility of the Vintage Rider to follow all the recommendations issued particularly in case of health risk, by the competent authorities in France and on site by the recognized bodies in the field of health (e.g. : WHO), or even by Vintage Rides or one of its Specialized Partners and/or other service providers, and to keep himself informed about it from day to day, to which he expressly agrees as part hereof. Vintage Rides provides information regarding abovementioned administrative and health formalities to French nationals; the persons of foreign nationality should, in addition to the information provided, inquire before departure from the competent authorities and bodies in their country of permanent residence and/or origin, and thus verify the information relevant for their particular case. VINTAGE RIDER ACKNOWLEDGES THAT HE IS SOLELY RESPONSIBLE FOR COMPLIANCE WITH ADMINISTRATIVE AND HEALTH FORMALITIES OF WHICH HE IS INFORMED AND THAT ARE SPECIFIC TO THE TOUR SERVICE DESTINATION. VINTAGE RIDES CANNOT IN ANY CASE BE HELD LIABLE FOR THE CONSEQUENCES OF NON-OBSERVANCE OF ANY RECOMMENDATION ISSUED BY THE COMPETENT AUTHORITIES OR BODIES, CONCERNING THE TRAVELERS, OR NON-OBSERVANCE OF ANY REQUIRED FORMALITY, BY THE VINTAGE RIDERS. VINTAGE RIDERS COMMIT TO KEEP HIMSELF INFORMED AND FOLLOW ALL THE ABOVEMENTIONED INFORMATION AND RECOMMENDATIONS AS PART HEREOF. Vintage Rides offers various insurance options to the Vintage Riders for their trip. The costs related to taking out of an insurance is borne by the Vintage Rider and are in no case included in the total price indicated for the Tour Services. The Vintage Rider is free to take out or not one of the below insurance, or any other insurance of his choice from an insurance specialist. Taking out of one of the below insurance is however strongly recommended to Vintage Rider to cover risks inherent in the Tour Services so as to cover the damages caused to the Vintage Rider and/or third parties. Vintage Rides cannot be held liable for not taking out of a suitable risk insurance by the Vintage Rider. The information provided in this section does not constitute the general or special terms and conditions of the insurance contracts, to which the Vintage Rider must refer for any subscription to one of these options, and which are available on the Website or provided by vintage Rides on request. The information regarding the risks covered and those excluded by each of the proposed insurance options are provided to the Vintage Rider in the quote and the registration form. These contracts include exclusion or disclaimer clauses, to which it is recommended to pay special attention. The Tour Services are not intended for minors, understood as the persons less than eighteen (18) years of age. Vintage Rides reserves the right to deny participation to any minor, as well as any person wishing to participate in a Tour Service, depending on its physical condition, or even if it deems that there are any risks for the safety and/or health of that person. If the participation of a minor is allowed, the booking requests concerning minors should therefore be made by the persons who are legally responsible for them, namely as applicable father, mother or guardian of the minor. “I hereby certify to be the legal person responsible for [full name of the minor], as [father/mother/guardian] of the latter and be duly authorized to represent him as part hereof”. Minors can participate in the Tour Services if the technical conditions allow it and if they are accompanied by adults who are legally responsible for them (father, mother or guardian) for the duration of the concerned Tour Service. However, Vintage Rides reserves the right to deny participation of any minor, as well as any person wishing to participate in a Tour Service, depending on its age, physical condition, or even if it deems that there are any risks for the safety and/or health of that person. If necessary, acceptance of a minor by Vintage Rides among the participants in a Tour Service could not be interpreted in any case as acceptance of care of the minor instead of its legal person responsible. The Vintage Rider who wants to find out about a Tour Service has the option to request a quote from Vintage Rides, especially on the Website via the form provided for that purpose. When he requests a quote, the Vintage Rider allows Vintage Rides to contact him in order to prepare this quote. Vintage Rides contacts the Vintage Rider in order to share with him and send him the quote, at the contact details indicated by the Vintage Rider, by phone or email. The Vintage Rider also has the option to request a quote to Vintage Rides by contacting the agency by phone. In accordance with the provisions of Article L.211-9 of the Tourism Code, the quote prepared by Vintage Rides particularly specify the content of the services offered related to the transport and stay, price and payment terms, cancellation policy as well as border crossing conditions. THE VINTAGE RIDER IS INFORMED THAT THE QUOTE SENT BY VINTAGE RIDES IS A DOCUMENT PURELY FOR INFORMATION PURPOSES ONLY. IT DOES NOT BIND THE VINTAGE RIDER OR VINTAGE RIDES AND IS PREPARED ON THE SOLE BASIS OF INFORMATION FILLED IN BY THE FIRST AND FOR A SPECIFIC DATE, WITHOUT PRESUMING THE CONTRACTUAL CONDITIONS APPLICABLE ON THE DATE OF BOOKING AS DEFINED IN ARTICLE 27 HEREOF. The price indicated in the quote is the price inclusive of tax charged by Vintage Rides for the concerned Tour Service, on the date of preparation of the quote. Any booking fees or extra costs are also specified to the Vintage Rider. All these factors may be changed or modified by Vintage Rides, about which the Vintage Rider is expressly informed. ONLY THE REGISTRATION FORM AS WELL AS THE TERMS AND CONDITIONS OF SALE WHICH ARE ATTACHED HERE, AND THE INFORMATION NOTE ON RISKS (IN APPENDIX 2) TO BE RETURNED TO VINTAGE RIDES BEFORE DEPARTURE, ARE TO BE CONSIDERED AS CONTRACTUAL DOCUMENTS BINDING THE PARTIES UNDER ONLINE BOOKING OF A TOUR SERVICE, IN ACCORDANCE WITH ARTICLE 2 OF THESE SPECIAL TERMS AND CONDITIONS OF SALE. Each step of an online booking is subject to a confirmation click by the Vintage Rider and offers to the Vintage Rider the option to correct it or abandon the booking, until the final confirmation step. 5. If he agrees with the registration form and the Terms and Conditions of Sale sent, the Vintage Rider makes payment of the deposit by following the Vintage Rides payment instructions, he returns the signed registration form and Terms and Conditions of Sale, preceded by the required words (read and approved, certificate for minors, etc.) to Vintage Rides, by e-mail, courier, fax or Docusign or equivalent. 2/ by bank transfer to the bank details sent by Vintage Rides trip adviser. The Vintage Rider then agrees to clearly mention the invoice number in its transfer. The booking confirmation especially shows the existence of a withdrawal period, the deadline to make the payment of the balance as well as all information referred to in Article L.121-192 of the new Consumer Code. If necessary, a dunning letter or e-mail is sent to the Vintage Rider in order to make payment of the balance within the deadline specified by Vintages Rides. A balance payment confirmation is sent in writing to the Vintage Rider (by email, courier or fax), after confirmation of payment form. IF NEEDED A TRIP CAN BE BOOKED OFFLINE OR BY E-MAIL AND THE PROCESS IS ADAPTED ACCORDINGLY. In case of “offline” booking, Vintage Rides provides to the Vintage Rider a copy of the contract, on paper signed by the parties or, with consent of the Vintage Rider, on another durable medium, confirming the express commitment of the parties. The contract is accompanied by the sample withdrawal form mentioned in point 2 of I of Article L. 121-17 of the Consumer Code. ATTENTION: IN ACCORDANCE WITH THE PROVISIONS OF NEW ARTICLE L.121-9 OF THE CONSUMER CODE, THE VINTAGE RIDER IS INFORMED THAT FOR ANY BOOKING MADE DURING A FAIR, EXHIBITION OR ANY COMMERCIAL EVENT FALLING UNDER CHAPTER II OF TITLE VI OF BOOK VII OF THE COMMERCIAL CODE, THE VINTAGE RIDER HAS NO WITHDRAWAL PERIOD. Prices of the Tour Services are indicated to the Vintage Rider in Euros and inclusive of tax (T.T.C.). The amount corresponding to the deposit is indicated to the Vintage Rider as a percentage of the total booking price, besides indication of its amount inclusive of tax. Prices are displayed on the Website for information purposes only. They may be changed or modified by Vintage Rides, under the conditions envisaged by the Special Terms and Conditions of Sale. Similarly, the prices (including the deposit) indicated on the quote sent to the Vintage Rider is the price charged by Vintage Rides on the date of preparation of the quote and are sent for information purposes only. PRICE AND DEPOSIT APPLICABLE FOR BOOKING OF ANY TOUR SERVICE IS THE PRICE INCLUSIVE OF TAX AND THE DEPOSIT IN PERCENTAGE INDICATED ON THE REGISTRATION FORM SENT TO THE VINTAGE RIDER (AS WELL AS ON THE BOOKING SUMMARY PAGE BEFORE CONFIRMATION OF THE PAYMENT PAGE, IN CASE OF ONLINE BOOKING). The mention of the price inclusive of tax on the registration form is without prejudice to any extra fees or costs that may be charged to the Vintage Rider, under the selection of options or any additional or subsequent booking that the latter would have to make, or due to external circumstances which result in changing the booking price, in accordance with the Special Terms and Conditions of Sale. The Vintage Rider is informed of all extra costs that may be charged to him, in a clear and legible manner, as well as optional nature or not of these costs. The total price inclusive of tax indicated for booking of a Tour Service corresponds to the price charged by Vintage Rides on the booking date as defined herein. This price covers only the services included in the Tour Service, as specified in the registration form. The Vintage Rider will be informed if necessary in writing, and this price increase cannot happen after the deadline of thirty (30) days before the start date of the Tour Service. After this period, the price is firm and final. If an extra cost is generated by cancellation of one or more participants, with consequence that the minimum number of participants – and of which the Vintage Rider was informed before contracting – is no longer reached, the Vintage Riders can keep the booking provided that they bear, equally, the extra cost generated by that cancellation. Otherwise, the booking will be canceled, without prejudice to the application of any cancellation fees as defined herein. This price may be increased or decreased. In order to proceed to payment of the price, the Vintage Rider chooses a payment method, namely: credit card or bank transfer (or other payment method expressly authorized by Vintage Rides) and make payment of the price by following the instructions of Vintage Rides, in accordance herewith. The credit cards accepted are: Visa, MasterCard, CB. These payment cards should be issued by a bank or financial institution in compliance with the legal provisions, and the Vintage Rider certifies as part hereof, to be holder of the credit card used. Vintage Rides has implemented a secure payment procedure by credit card on Internet. This procedure is based on the information encryption technology, true reference for secure payment. During payment, the Vintage Rider enters the number, expiry date and CVV (3 digit number on the back of the credit card) of his credit card, which are immediately encrypted before being sent to the bank of Vintage Rides by Internet. Payment will be made, unless the server is down, immediately on Internet by credit card. Furthermore, Vintage Rides reserves the right to suspend or cancel the booking for any incident related to the payment (non-payment or partial payment, fraud, fraud attempt related to the use of payment methods, etc.). All bookings are payable in Euros, all taxes included (T.T.C.). Possible bank charges are borne by the Vintage Rider (including in case of refund). • Payment by cheque is not allowed. While making a payment to Vintage Rides, especially online, the Vintage Rider declares to be authorized to use the payment method used. Insofar Vintage Rides would resort to third parties to facilitate payment transactions and ensure their security, it is up to the Vintage Rider to read the terms and conditions of these third parties before any transaction. The Vintage Rider makes payment of the deposit and then the balance within the deadline specified by Vintage Rides during confirmation of the booking using the payment method authorized by Vintage Rides herein. Otherwise, the booking will be canceled at sole expense of the Vintage Rider (no refund of the deposit, if any, and without prejudice to any cancellation fees) according to the schedule mentioned below. The booking is considered final upon receipt of the booking confirmation via e-mail by the Vintage Rider. A deadline for payment of the balance is given to the Vintage Rider during the confirmation. The Vintage Rider makes payment of the balance via the payment methods authorized by Vintage Rides, within the allotted time. After a period of twenty-one  days before the departure, the price inclusive of tax under the booking is due and shall be paid in full by the Vintage Rider. Vintage Rides commits to issue an invoice to the Vintage Rider as part of the confirmation of his booking. Any payment from the Vintage Rider is subject to written confirmation by Vintage Rides. In case of online payment, online provision of the credit card number and confirmation of the booking on the Website constitute proof of acceptance of the booking in accordance with the provisions of Law No. 2000-230 as of March 13, 2000 adapting the law of evidence to information technologies and related to electronic signature and will be worth payment of amounts incurred for the bookings. This confirmation means signing and express acceptance of all bookings made on the Website. The computerized records stored in computer systems of Vintage Rides, under the conditions envisaged by Law No. 78-17 as of January 6, 1978 on IT, files and “Freedom” in France, will be considered as proof of communications and transactions occurred between Vintage Rides and Vintage Rider. In accordance with new Articles L.121-17 and L.121-21 and following of the Consumer Code, the Vintage Rider has the right to withdraw, without reason, within a period of fourteen (14) days from the date of booking. Prior to conclusion of the contract, Vintage Rides provides the following information to the Vintage Rider (i) where applicable, existence of a right to withdraw (ii) the conditions, deadline and methods of exercise of this right to withdraw as well as the sample withdrawal form (ii) where applicable, information on the consumer’s obligation to pay a fee when the latter exercises its right to withdraw. This information is recalled in the booking confirmation sent to the Vintage Rider, and particularly the sample withdrawal form. In order to exercise his right to withdraw, the Vintage Rider must notify to Vintage Rides, in writing, his decision to withdraw at the following address: contact@vintagerides.com. The withdrawal form template can be used by the Vintage Rider. This form is provided to the Vintage Rider with confirmation of his booking in writing. 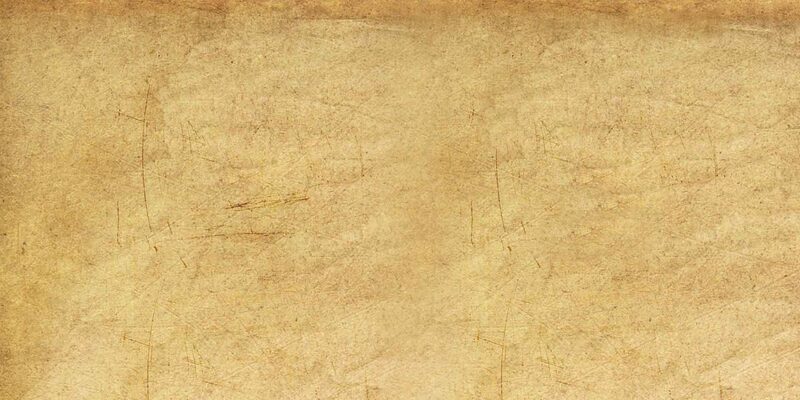 The Vintage Rider may also fill in and send the withdrawal form template online on the Website of Vintage Rides. In case of exercise by the Vintage Rider of his right to withdraw within the allotted time, an acknowledgment of receipt of the withdrawal will be sent immediately to the Vintage Rider. If applicable, the booking is canceled, and Vintage Rides will refund the entire payment obtained (total price inclusive of tax or deposit, as applicable), no later than fourteen (14) days from the day it knew of the Vintage Rider’s decision to withdraw. Refund will be done by using the same payment method that was used during the initial transaction, unless if Vintages Vintage Rides and Vintage Rider expressly agree to a different method and insofar as the refund does not incur any fees for the vintage Rider. – Sale of Tour Services in the form of tour packages within Article L.211-2 of the Tourism Code. In any event, when the right to withdraw cannot be exercised, the information according to which the consumer does not enjoy this right or, where appropriate, the circumstances in which the Vintage Rider loses his right to withdraw are indicated to the latter prior to signing/confirmation of the booking in a legible and understandable manner. Pursuant to the provisions of Article L.121-97 of the Consumer Code, the contract offers covering the Tour Services made in fairs and exhibitions mention the absence of withdraw period, in clear and legible terms, in an apparent box”. 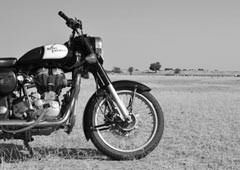 IN CASE OF MODIFICATION, CANCELLATION OR TERMINATION OF THE BOOKING, NO REFUND OR COMPENSATION CAN BE PROVIDED TO THE VINTAGE RIDER OUTSIDE CASES EXPRESSLY REFERRED TO IN THIS ARTICLE, EXCEPT CONTRARY IMPERATIVE LEGAL PROVISIONS. Under the provisions of Article L. 211-13 of the Tourism Code, when, before departure, compliance with one of the essential components of the Tour Service is made impossible following an external event that is necessary for Vintage Rides and/or Incoming Tour Operator, Vintage Rides will notify the Vintage Rider about it as soon as possible and will inform him the option that he has either to cancel his booking, or to accept the modification proposed by Vintage Rides. This warning and this information will be confirmed in writing to the Vintage Rider, who must inform his choice as soon as possible. In case of termination, the Vintage Rider has right, without incurring penalties or fees, to refund of all amounts that he paid. This article also applies in case of significant change in the booking price involved in accordance with the conditions envisaged in Article L. 211-12 of the Tourism Code. • Or accept the change or alternate trip offered by Vintage Rides; a contractual amendment specifying the changes made is then signed by the Parties; any reduction in price is deducted from amounts possibly remaining payable by the Vintage Rider and, if the payment already made by the latter exceeds the price of the modified service, the overpayment must be refunded to him before his departure date. Pursuant to the provisions of Article R.211-10 of the Tourism Code, as provided in Article L. 211-14 of the Tourism Code, when, before departure of the Vintage Rider, Vintage Rides cancels the Tour Service, it must inform the Vintage Rider about it by any means enabling to get an acknowledgment of receipt from him; the latter, without prejudice to claim for compensation for any damage suffered, gets immediate refund from Vintage Rides and without penalty for amounts paid and received, in this case, a compensation at least equal to the penalty that he would bear if cancellation occurred from his own act on that date. The provisions of this Article does not in any case obstruct the conclusion of an amicable agreement between the Parties aiming acceptance, by the Vintage Rider, of an alternate trip or holiday offered by Vintage Rides. Pursuant to the provisions of Article L211-14 of the Tourism Code, when, before departure, Vintage Rides cancels the booking without fault of the Vintage Rider, the total amount paid by the latter is refunded to him, without prejudice to any damages to which the latter could be entitled. • More than 60 days before departure date: fifteen percent (15%) of the total price inclusive of tax, plus processing costs of an amount of one hundred and fifty Euros (€ 150) per person and bank transfer fees of an amount of sixty Euros (€ 60) per refund(s) done. • 60 to 31 days before departure date: twenty-five percent (25%) of the total price inclusive of tax, plus processing costs of an amount of one hundred and fifty Euros (€ 150) per person and bank transfer fees of an amount of sixty Euros (€ 60) per refund(s) done. • 30 to 21 days before departure date: fifty percent (50%) of the total price inclusive of tax, plus processing costs of an amount of one hundred and fifty Euros (€ 150) per person and bank transfer fees of an amount of sixty Euros (€ 60) per refund(s) done. • 20 to 8 days before departure date: seventy-five percent (75%) of the total price inclusive of tax, plus processing costs of an amount of one hundred and fifty Euros (€ 150) per person and bank transfer fees of an amount of sixty Euros (€ 60) per refund(s) done. • Less than 8 days before departure date: 100% of the total price inclusive of tax of the trip. • In case of no-show on the day of departure: 100% of the total price inclusive of tax of the trip. • For shared services: fees equal to 100% of the price inclusive of tax provided to the Vintage Rider for its participation in the shared services, regardless of the date of cancellation, will be charged to the participant(s) who cancels on their share of their shared services of the trip. When several Vintage Riders have registered on the same application and one of them cancels his trip, the cancellation fees are deducted from the amounts collected by Vintage Rides Team for this application, regardless of the author of the payment. • 100% of cancellation fees may be applied upon registration on some hotels. • 100% of cancellation fee for all tickets issued. • Vintage Rides may offer to the Vintage Rider the products whose nature is exceptional either due to very favorable rates, or on dates which correspond to major events (peak tourist season) or for other reasons that may lead to modification of schedule of cancellation fees. In such cases, the cancellation fees that will be applied will be specified in the advance notification document on the trip. The other provisions hereof will continue to be applied. In case of cancellation, for any reason whatsoever, the costs outside the trip subscribed through the Vintage Rides platform and incurred by the Vintage Rider such as transport costs up to the place of departure of the trip and return to home, fees for obtaining visas, travel documents, vaccination costs, will not be subject to any refund. Booking of the Vintage Rider is final upon payment of the deposit. It cannot be subject to any refund outside causes strictly listed herein. In addition, the Vintage Rider may be liable to pay the full price, according to the deadline within which he notifies his cancellation, in accordance herewith. Pursuant to Article L211-15 of the Tourism Code, when, after the departure, one of the essential components of the contract cannot be executed, Vintage Rides will offer, unless unable to duly justify, the services to the Vintage Rider in replacement of those that are not provided. Vintage Rides will pay the additional price resulting from it or will refund the price difference between the services planned and provided. If the Vintage Rider does not accept the proposed modification, Vintage Rides will buy him the tickets required for his return, without prejudice to the damages which the latter could claim. • Or, if it cannot offer any replacement service or if they are rejected by the Vintage Rider for valid reasons, provide to the latter, at no additional price, tickets to ensure his return under conditions that may be deemed equivalent to the place of departure or to any other place agreed by both Parties. The provisions of this Article are applicable in case of non-fulfillment of the obligation envisaged in paragraph 13 of Article R. 211-4 of the Tourism Code. In accordance with the provisions of Article R.211-6 point 20 of the Tourism Code, the Vintage Rider may request cancellation of the booking and refund without penalties for the amounts that he paid in case of non-fulfillment of the notification obligation by Vintage Rides within Article R.211-4 and with regard to Article 4 hereof related to pre-contractual information. In accordance with the provisions of Articles L.211-11 and R.211-7 of the Tourism Code, the Vintage Rider has the right to transfer his booking to any third party who fulfills the conditions required for the Tour Services. If necessary, the Vintage Rider shall inform Vintage Rides of the transfer of his booking to a third party by any means enabling to acknowledge its receipt, within seven (7) days before start of the Tour Service, at the contact address mentioned herein. When it is a cruise, this period is extended to fifteen (15) days. The Vintage Rider and transferee third-party of the booking will be jointly and severally liable, towards Vintage Rides, for payment of the remaining price, extra costs that may be incurred due to this transfer, as well as any amount that will be borne by it under the booking in accordance herewith. The Vintage Rider is informed that he must pay a security deposit of four hundred (400) Euros under provision of the Vehicle to him. The security deposit must be handed over to Vintage Rides before the start date of the Tour Service. This security deposit is returned to the Vintage Rider at the end of the Tour Service, unless deduction of any costs of repair or replacement of all or part of the Vehicle and/or its accessories (rear-view mirrors, turn signals, etc.) that would be borne by him in case of damage suffered by the Vehicle. If the repair costs exceed the amount of the security deposit, Vintage Rides reserves the right to claim from the Vintage Rider, amicably or through the courts failing agreement between the Parties, the reimbursement of costs incurred, which will be subsequently charged to the Vintage Rider separately. (ii) For reimbursement of any other losses, debts, or expenses resulting from non-compliance with abovementioned rules (fine by public authorities, claims from service providers, etc.). The Vintage Rider agrees to read the entire Risk Information Note (in Appendix 2 hereof) which has been sent to him during his booking, to fill it and return to Vintage Rides, duly signed, before the start of the Tour Service. The Vintage Rider is informed of the risks inherent in driving the Vehicle and his participation in the Tour Service, and particularly, personal, psychological injury, emotional suffering, trauma, illness or infections to which he can be subjected, technical failures and breakdowns that may affect the motorcycle or the conduct of the Tour Services, and in general, all difficulties related to climate or environmental conditions in the destination country, which could occur before, during or after the Tour Service. Notably, the Vintage Rider realizes and recognizes that as part of the Tour Services, he may have to drive a Vehicle (motorcycle, quad, etc.) in difficult conditions, which can prove to be difficult or dangerous for his driving or for his safety: driving over long distances, for several days in a row, at high or low temperatures or in difficult climate conditions, etc. Considering these factors, and in accordance with Article 22 below, the Vintage Rider guarantees to Vintage Rides to be in good physical shape, sufficient to participate in the Tour Service. By signing the present and by participating in the Tour Service, the Vintage Rider acknowledges being aware of the existence of such risks and accepts them. • To follow all the instructions, recommendations and/or advice that could be made towards them by Vintage Rides, its representatives, employees, agents, service providers, by the Incoming Tour Operator, by guides or any companion, the competent public authorities in France or in the destination country, or any other competent body or authority (such as WHO), before and during the Tour Service, such as those inherent in the safety of goods and persons, health risks and any other risk, use of the motorcycle or any other means of transport, where appropriate, in the practice of itineraries or tours, their driving in all places of execution of the service, etc. ; in this regard, it is specified that the motorcycle companion is in no case a guide and that the user drives and navigates under its sole responsibility. • To behave fairly towards Vintage Rides, its representatives, employees, agents, service providers, or even the Incoming Tour Operator, as part of all their relationships and for proper execution of the Tour Service. • To take with utmost seriousness and greatest consideration any commitment and any obligation made by him hereunder. The Vintage Riders guarantees Vintage Rides against any violation of the rights of the latter or even the rights of third parties, of the legislation and regulations applicable in the destination country and in France, in accordance with the contractual principles of loyalty and good faith. In particular, they guarantee Vintage Rides from any identity theft or any misleading, falsified, inaccurate or incorrect information, if only partially, even because of their own negligence for any reason whatsoever, since this information is requested to them hereunder. (viii) Have sufficient financial resources to meet their needs until the end of the Tour Service. 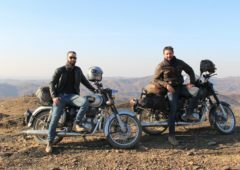 The Vintage Rider must ensure that he is fit to participate in the Tour Service (particularly, to drive a motorcycle) without endangering his life and that of other participating Vintage Riders. Any illness requiring medical assistance must be reported in writing at the time of quote request and in any event, if it is declared later in the booking, before the departure. No booking or participation can be accepted if the Vintage Riders are in physical or mental conditions not allowing such participation, or would risk to make the latter difficult or dangerous for one of the participants. Furthermore, the Vintage Rider is informed that the guides or any companion (if any) have a role limited to simple supervision of the Tour Service. They are not in any case or in any way responsible for the risks taken by the Vintage Rider in driving the Vehicle, and that the Vintage Rider necessarily confronts while driving this type of Vehicle, as he was informed of it in the Risk Information Note. The Vintage Rider remains personally responsible for the risks he takes when driving the Vehicle during the Tour Service, towards him and towards other participants or any person who could be found in contact with his Vehicle. In addition, the Vintage Rider remains solely responsible for the vehicle entrusted to him and for payment of the insurance deductible in case of damage to the vehicle, other damage or theft. In this regard, in case of handing over of the Vehicle by a third-party service provider, the Vintage Rider is informed that in some countries, handing over of the Vehicle does not result in complete and prior verification of the Vehicle under the control of the Vintage Rider, as a result of which Vintage Rides cannot be held liable in case of dispute with third-party supplier of the Vehicle. In case of damaged Vehicle, Vintage Rides can send to the Vintage Rider, who shall make its full payment, an invoice for repair of the Vehicle whose amount will be deducted from the security deposit. Vintage Rides is insured by HISCOX Europe Underwriting Unlimited, 2 Rue Louis le Grand 75002, Paris, France under RCAPST/PROV contract dated 01/01/2015 under the Professional Liability Insurance. The insurances taken out by Vintage Rides are separate from any insurance taken out personally by the Vintage Riders, particularly for coverage of damages suffered by them personally and/or by third-parties. IT IS STRONGLY RECOMMENDED TO THE VINTAGE RIDERS TO PERSONALLY TAKE OUT AN INSURANCE ADDITIONAL TO THOSE TAKEN OUT BY VINTAGE RIDES, IN ORDER TO COVER DAMAGES CAUSED TO THE VINTAGE RIDER AND/OR THIRD-PARTIES. (III) Failure of the Vintage Rider to show the identity documents required for the travel, or presentation of documents invalid and/or not in accordance with the customs police or registration services. Vintage Rides cannot be held liable for any incident/accident, particularly traffic accident, or personal injury which would result from a personal initiative of the Vintage Rider, or any recklessness from his side or any breach by the latter of his obligations as part of driving of the Vehicle provided to him, particularly with regard to the traffic rules applicable in the country of driving, the instructions given to the latter (particularly in terms of safety, wearing of helmet and any necessary equipment) or even misuse of the Vehicle. Consequently, the costs and expenses incurred by an incident/accident, including traffic accident, because of the Vintage Rider will be borne solely by the latter. “The professional is automatically liable to the consumer for proper fulfillment of the obligations resulting from the contract concluded remotely, as these obligations are fulfilled by the professional who concluded this contract or by other service providers, without prejudice to its right of appeal against them. Pursuant to the provisions of Article L.211-16 of the Tourism Code, mentioned above, Vintage Rides can in no case be liable in an event of force majeure. (iv) Cancellation by order of an administrative authority or any other competent French or foreign (local) public authority. (v) Natural disasters, bad weather or meteorological conditions making it impossible to execute all or part of the Tour Service for Vintage Rides and/or Specialized Partner, regardless of the will of the latter. The Vintage Rider has the option to send any complaint related to the Tour Service to Vintage Rides. The complaint shall be accompanied by supporting documents and sent via courier with acknowledgment of receipt to Vintage Rides at the contact postal address below. The complaint must be sent to Vintage Rides within a maximum period of thirty (30) days from the end of the Tour Service. After that period, any complaint made cannot be accepted and will be declared inadmissible. No complaint will be accepted for losses, damage(s) or theft(s) of luggage, clothing or personal items placed under the personal supervision of the Vintage Rider during the holiday, unless proven fault of Vintage Rides or service providers involved in execution of the trip. Any request for information, clarification and booking follow-up, as well as any complaint under this article, can sent to Vintage Rides at the addresses shown on the website. In accordance with the provisions of Law No. 78-17 as of January 6, 1978 on Information Technologies, Data Files and Civil Liberties, Vintage Rides commits to respect personal data of the Vintage Riders, and of any person concerned whose personal data would be collected by Vintage Rides (hereinafter, a/the “Person Concerned”) as part of the quote request, booking and participation in the Tour Services, or even during any exchange with the latter as part of its business. Personal data of the Vintage Rider/Person Concerned are information which enable to identify the latter directly or indirectly, within Article 2 of the Data Protection Act. The Vintage Riders/Persons Concerned are required to provide this type of information (full name, email or postal address) voluntarily during a quote request and where appropriate during a booking with Vintage Rides. PERSONAL DATA COLLECTED BY VINTAGE RIDES MAY BE USED BY THE LATTER, ITS EMPLOYEES OR ITS SERVICE PROVIDERS FOR THE PURPOSE OF PROVIDING TOUR SERVICES TO THE VINTAGE RIDERS/PERSONS CONCERNED AS PART OF ITS ACTIVITY, AND PARTICULARLY FOR PROCESSING OF BOOKINGS MADE WITH VINTAGE RIDES OR TO ACCEDE ANY REQUEST OR QUESTION REGARDING THE WEBSITE OR SERVICES OFFERED AS PART OF THE TOUR SERVICE. THE VINTAGE RIDERS/PERSONS CONCERNED ARE INFORMED THAT VINTAGE RIDES IS LIKELY TO SEND THEIR PERSONAL DATA TO THIRD-PARTIES, SUBJECT TO EXPRESS AND PRIOR CONSENT OF THE VINTAGE RIDER/PERSON CONCERNED OR ANY COMPETENT PUBLIC AUTHORITY WHEN THE LAWS AND REGULATIONS IMPOSE IT UPON IT. Personal data of the Vintage Riders/Persons Concerned will be kept strictly confidential by Vintage Rides and can be re-used only for the purposes for which they were collected and for the purposes to which the persons concerned have expressly consented, in compliance with the provisions of the aforementioned Data Protection Act. For any other use of personal data of the Vintage Riders/Persons Concerned, for purposes other than those mentioned above, Vintage Rides commits to get prior consent of the Vintage Riders/Persons Concerned in accordance with the provisions of the Data Protection Act in France. IN ACCORDANCE WITH THE PROVISIONS OF ARTICLES 38 AND FOLLOWING OF THE DATA PROTECTION ACT, ALL VINTAGE RIDERS/PERSONS CONCERNED HAVE A RIGHT OF OBJECTION, ACCESS, RECTIFICATION OR DELETION OF ITS PERSONAL DATA, THAT THEY ARE FREE TO EXERCISE BY CONTACTING VINTAGE RIDES AT THE CONTACT ADDRESS MENTIONED HEREIN. By Vintage Rides in writing after (i) confirmation of online booking or (ii) receipt of the contractual documents (registration form, Terms and Conditions of Sale and Risk Information Note) signed with the required handwritten words, for other booking cases. The date of the Tour Service is the start date of the Tour Service as indicated on the registration form and confirmed in writing by Vintage Rides before departure, unless express modification notified in writing by Vintage Rides before departure in accordance herewith. These Special Terms and Conditions of Sale become effective from the date of their acceptance by the Vintage Rider in accordance with the terms of acceptance defined herein. These Special Terms and Conditions of Sale as well as any dispute relating thereto of which Vintage Rides would be part, are subject to French Law. These Special Terms and Conditions of Sale are subject, as appropriate, to the regulations applicable in France in terms of consumption, tourism, or even in terms of contracts concluded remotely and on Internet, and particularly to the provisions of the Consumer Code, Tourism Code, Civil Code, Law No. 2004-575 for confidence in the digital economy as of June 21, 2004 or even the Code of Intellectual Property and Data Protection Act. Any dispute relating thereto, as mentioned above, and failing amicable agreement between the Parties, falls in principle within the jurisdiction of the court of domicile of the Vintage Rider, since the latter is regarded as the consumer. Any booking made with Vintage Rides is done in French. However, the Terms and Conditions of Sale translated into English are also available to the Vintage Rider during the booking. Interpretation. In case of difficulty in interpretation between one or more titles and one or more stipulations hereof, the titles will not be taken into account. Severability. If one of the stipulations hereof would prove to be null or unenforceable, it would be considered as unwritten without the validity of other stipulations hereof being challenged, however provided that the general economy hereof is not significantly affected by deletion of the relevant stipulation. Article R211­3 Subject to the exclusions envisaged in the third and fourth paragraphs of Article L. 211-7, any offer and any sale of travel and holiday services lead to submission of appropriate documents which meet the rules defined by this section. In case of sale of air tickets or regular online tickets not accompanied by services related to these transports, the vendor delivers to the buyer one or more passenger tickets for the entire trip, issued by the transporter or under its liability. In the case of transport on request, name and address of the transporter, on whose behalf the tickets are issued, should be mentioned. Separate billing of various components of the same tour package does not free the vendor from the obligations incumbent upon it by the regulatory provisions of this section. Article R211­3-1 Exchange of pre-contractual information or provision of contractual conditions is carried out in writing. They may be done electronically under the conditions of validity and exercise envisaged in articles 1369-1 to 1369-11 of the Civil Code. Name or corporate name and address of the vendor are mentioned as well as indication of its registration in the register envisaged in point a of Article L. 141-3 or, if necessary, name, address and indication of the registration of the federation or union mentioned in the second paragraph of Article R. 211-2. 13. When the contract includes air transportation services, the information, for each flight segment, provided in Articles R. 211-15 to R. 211-18. Article R211-5 Advance notification to the consumer binds the vendor, unless therein, the vendor has not expressly reserved the right to modify some of its components. The vendor must, in this case, clearly indicate to what extent this modification may occur and on what component. In any event, the changes made to advance notification should be communicated to the consumer before conclusion of the contract. Article R211-7 The buyer can transfer his contract to a transferee who fulfills the same conditions as him to carry out the trip or holiday, as long as this contract has no effect. Unless stipulation more favorable for the transferor, the latter is bound to inform the vendor of his decision by any means enabling to obtain an acknowledgment of receipt from it no later than seven days before start of the trip. When it is a cruise, this period is extended to fifteen days. In any case this transfer is not subject to prior permission of the vendor. Article R211-8 When the contract includes an express option of price revision, within the limits envisaged in Article L. 211-12, it must mention the precise terms of calculation, both upward and downward, price variations, and particularly the amount of transport costs and taxes related thereto, the currency or currencies that may affect the price of the trip or holiday, the part of price to which the variation applies, the exchange rate of the currency or currencies used as reference during the pricing shown in the contract. • Or accept the change or alternate trip offered by the vendor; an amendment to the contract specifying the changes made is then signed by the parties; any reduction in price is deducted from amounts possibly remaining payable by the buyer and, if the payment already made by the latter exceeds the price of the modified service, the overpayment must be refunded to him before his departure date. Article R211-10 In the case envisaged in Article L. 211-14, when, before departure of the buyer, the vendor cancels the trip or holiday, it must inform the buyer by any means enabling to obtain an acknowledgment of receipt from him; the buyer, without prejudice to claim for compensation for any damage suffered, obtains from the vendor immediate refund and without penalty of the amounts paid; the buyer receives, in this case, a compensation at least equal to the penalty that he would have borne if the cancellation occurred because of his act on that date. 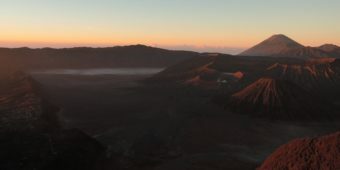 The provisions of this Article shall in no case impede the conclusion of an amicable agreement aiming acceptance, by the buyer, of an alternate trip or holiday offered by the vendor. • Or, if it cannot offer any replacement service or if they are rejected by the buyer for valid reasons, provide to the buyer, at no additional price, tickets to ensure his return under conditions that may be deemed equivalent to the place of departure or to any other place agreed by both parties. The provisions of this Article are applicable in case of non-fulfillment of the obligation envisaged in paragraph 13 of Article R. 211-4. I, the undersigned ………………………… … hereby declare having read the risk information note available below. ● Accepting to follow the rules and laws in force in the country visited (traffic rules, transport/possession/usage of illegal substances…). The consumer has the right to withdraw from this contract without giving any reason within a period of fourteen calendar days. The right to withdraw runs from (*) ……………………………………………………………. If the consumer did not receive this form, the withdrawal period runs from the time when the consumer receives full information, but expires in all cases after one year and fourteen calendar days. If the consumer did not receive all the required information, the withdrawal period runs from the time when the consumer receives full information, but expires in all cases after three months and fourteen calendar days. To exercise the right to withdraw, the consumer notifies its decision to withdraw to the professional with the name and address indicated below by using a “durable medium” (for example, written letter sent by post, e-mail). The consumer can, if desired, use this form. If the consumer exercises the right to withdraw, he is not obliged to pay any fee. Apart from the right to withdraw, the national laws on contracts can envisage rights for the consumer, for example the right to terminate the contract when some information has not been disclosed. To Vintage Rides, *98 rue Baudin, 92300 LEVALLOIS PERRET, FRANCE (Company name and address) (*). (*) Field to be filled in by the professional before giving the form to the consumer. (**) Cross out as appropriate. (***) Field to be filled in by the consumer(s) when this form is used for purposes of withdrawal from the contract.